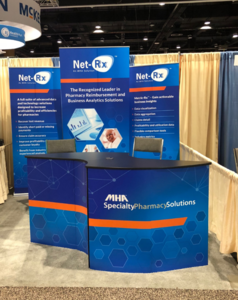 Net-Rx, an MHA Solution, has specialized in providing operational and technology-driven services exclusively for pharmacies for more than 10 years. Led by industry-recognized experts, we provide a platform for advanced business analytics that drives operational excellence and optimum financial performance across reconciliation, reimbursement verification, and prescription pricing. 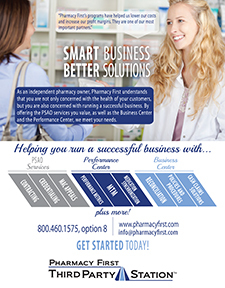 As a market leader in pharmacy solutions, Net-Rx has deep industry expertise and is a trusted partner to many of the most recognizable pharmacies in the country. 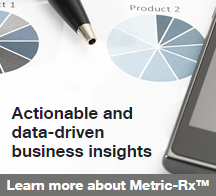 These pharmacies have come to rely on Net-Rx for superior support, actionable insights, and proven results. 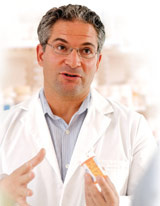 Net-Rx is committed to exceeding the expectations of our customers, partners, and associates. Contract Assure � Recover missing revenue by assuring accurate payments on MHA contracted rates. 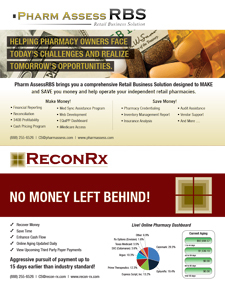 The recognized leader in pharmacy reimbursement and business analytic solutions! A leading provider of electronic solutions to the pharmacy industry, eRx Network provides comprehensive and innovative services for claims management and analysis, electronic prescribing and specialized processing, such as Medicare/Medicaid DME billing. 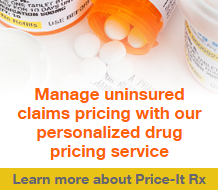 Our expansive offerings provide pharmacy customers with the tools needed to become more competitive, improve patient care and combat inefficiencies and errors that lead to low reimbursement rates. eRx Network Connect� claims switching service provides full access to all third-party processors in the United States via a high-speed, next-generation network. Exclusive online tools like ScriptView� make real-time claim research and processor troubleshooting easier. 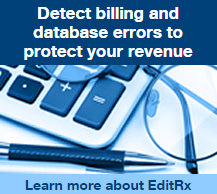 eRx Network Edit� is an advanced, real-time edit engine designed to increase your pharmacy�s overall profitability by reducing submission errors and optimizing third-party reimbursements. 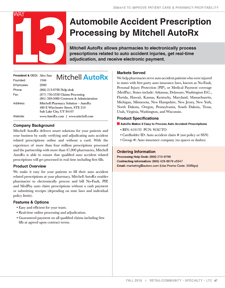 A series of pre/post edits is automatically performed, providing financial, administrative and legal compliance reviews on prescriptions prior to being sent to and received from the processor. 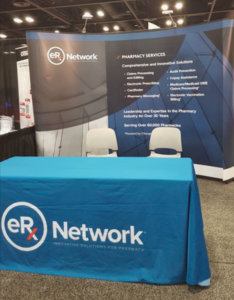 eRx Network CardFinder� is an industry-leading, real-time eligibility service that can help your pharmacy save valuable personnel time and, as a result, provide enhanced customer service. A single transaction quickly returns commercial coverage information for more than 220 million covered lives and Medicare Part D coverage information for patients 65 years of age or older. 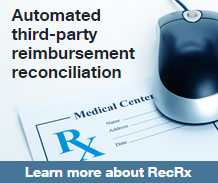 eRx Network Payer Compliance� resubmission service is designed to maximize third-party claim reimbursements by helping your pharmacy easily identify, reverse and resubmit claims that have been paid based upon outdated average wholesale pricing (AWP). This automated solution is a value-added service available to customers who utilize eRx Network Connect or Edit. Change Healthcare pharmacy services, erx network and Change Healthcare on Third Party Claim Management Receivables Reconciliation Prescription Remittance Insurance Claim Reimbursement Services. 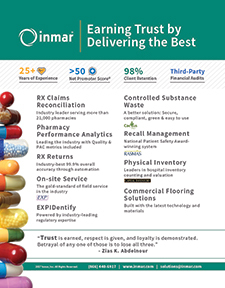 third-party claims management analysis services specialty processing services, and electronic prescribing services with retail pharmacy. Change Healthcare Medicare DME, Change Healthcare Recovery, Change Healthcare Adjudicate, Change Healthcares eRx Network® ePrescribing, Change Healthcare Reconciliation Elite, electronic prescribing on third party claims processing. 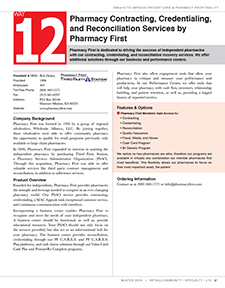 FDS is a pharmacy-centric healthcare technology company dedicated to helping our customers succeed. We believe in leveraging the power of data and developing solutions that change the way healthcare is delivered today. Our industry knowledge, technical expertise, and scalable, cloud-based platforms are utilized by thousands of customers to solve the many industry challenges pharmacies face each day. FDS� tools improve profitability while enhancing clinical care and operational effectiveness. Such solutions include automated medication synchronization services; business intelligence analytics and reporting; Star Ratings and Population Health Management; DME claims billing; third-party reconciliation services and patient communication portals to name a few. 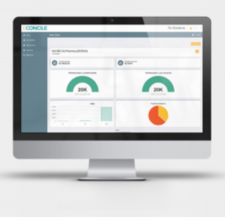 ECONCILE� is a cost-effective way to assist pharmacy staff in managing third-party receivables and monitoring third-party payments on prescription and DME claims. There is no software to install or maintain. 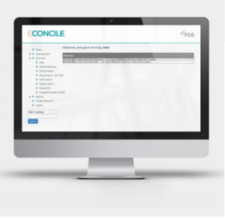 FDS automatically collects your electronic remittance advice (835 files) to load into the ECONCILE engine. Any paper remittances received will be uploaded by FDS. All third-party payments received are posted into ECONCILE. FDS matches the posted payments to the prescription claims and highlights discrepancies once the claim is reconciled. 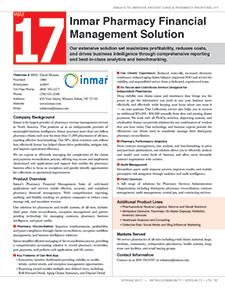 Management reports are provided for review. For more information please contact us at Sales@fdsrx.com or call (877) 602-4179. 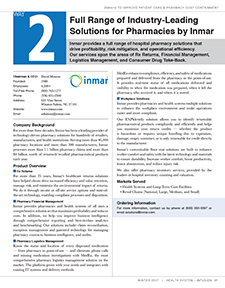 Inmar provides a full range of hospital pharmacy solutions that drive profitability, risk mitigation, and operational efficiency. Our services span the areas of Rx Returns, Financial Management, Logistics Management, and Consumer Drug Take-Back. ServRx? specializes in workers' compensation pharmacy claims management, offering customized contracts with the most flexible and competitive payment terms in the industry. ServRx? 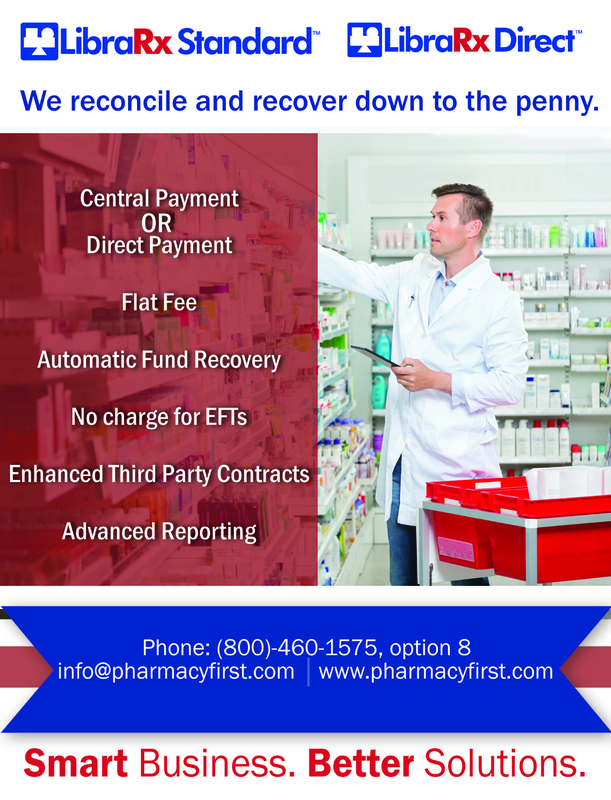 gives your pharmacies the opportunity to minimize bad debt and short pays as well as improve cash flow. 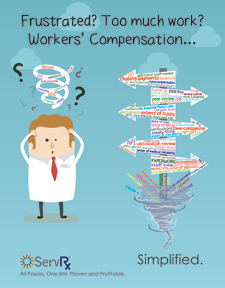 Are you getting the maximum reimbursement possible on every claim? What's keeping you up at night? Our clients sleep better. 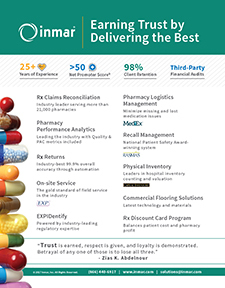 Introducing Scriptmax, the new pharmacy claims analytics service from Innovatix. 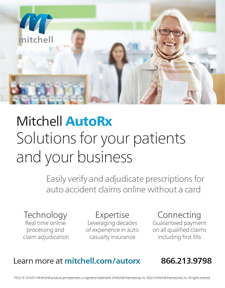 Mitchell, a leading provider of technology, connectivity and information solutions to the Property & Casualty (P&C) claims and Collision Repair industries, today announced that it has signed an agreement to acquire the assets of Cogent Works, a leading provider of pharmacy network and benefit management services to the automobile casualty and workers’ compensation markets. Tampa General Hospital, a not-for-profit level-one trauma center and primary teaching hospital for the USF Health Morsani College of Medicine (USF Health) has chosen RelayHealth to establish its enterprise health information exchange (HIE) with USF Health and other interested physicians in the area.